1. Simmer butter in heavy sauce pan over medium heat until brown. Remove from heat and whisk in Ginger-Fig Balsamic honey and mustard. Season with salt and pepper. 2. 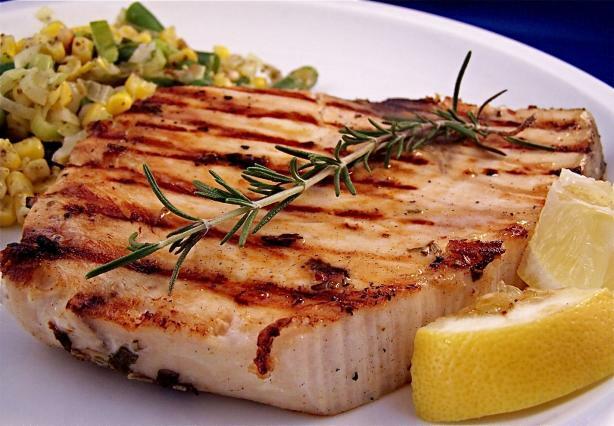 Brush fish with Rosemary Oil and heat in a heavy skillet 3 steaks at a time. 3. Sauté until just opaque in the center about 4 mins per side. Remove and keep warm. Repeat with remaining fish. 4. Whisk sauce over low heat to rewarm and spoon over fish. Sprinkle with capers and tomatoes.